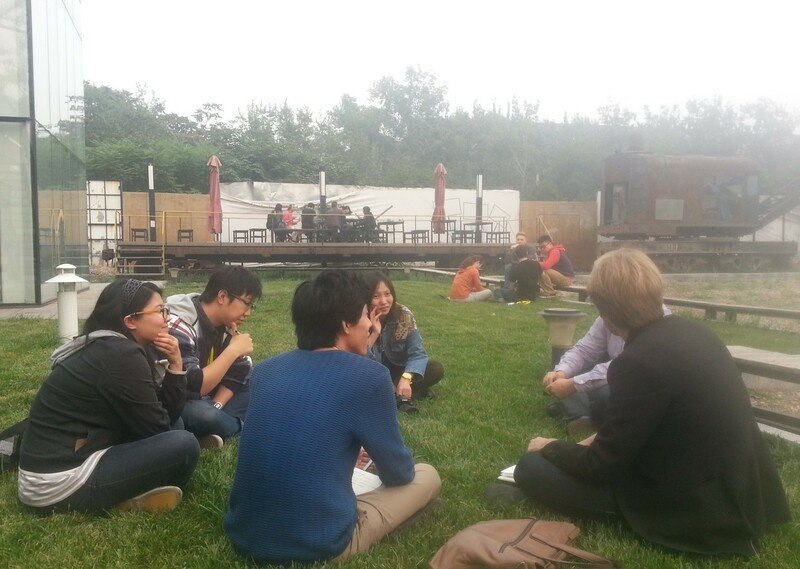 On day 1 we started out by introducing the theme, dividing participants into teams and getting to know each other. 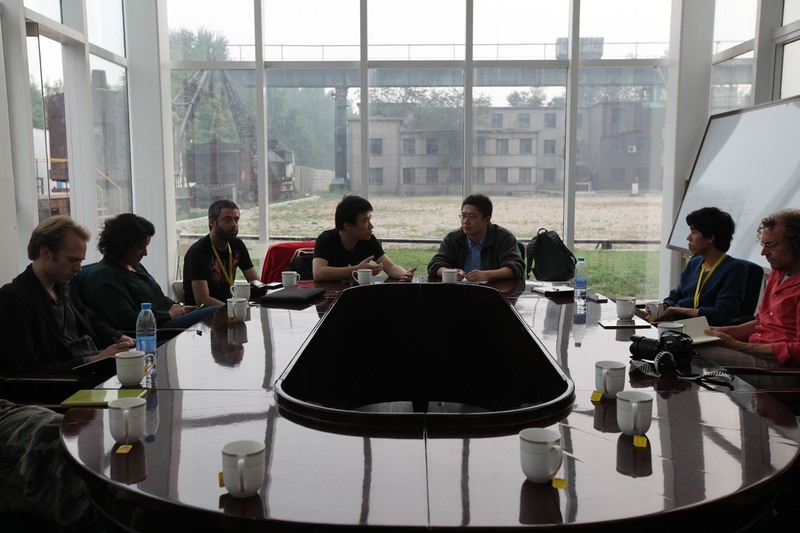 We then visited one of the vast premises of the Capital Steel Factory by bus to meet with Mr. FU, a representative of the site developer ShouGang Industrial Park Development Management Office. 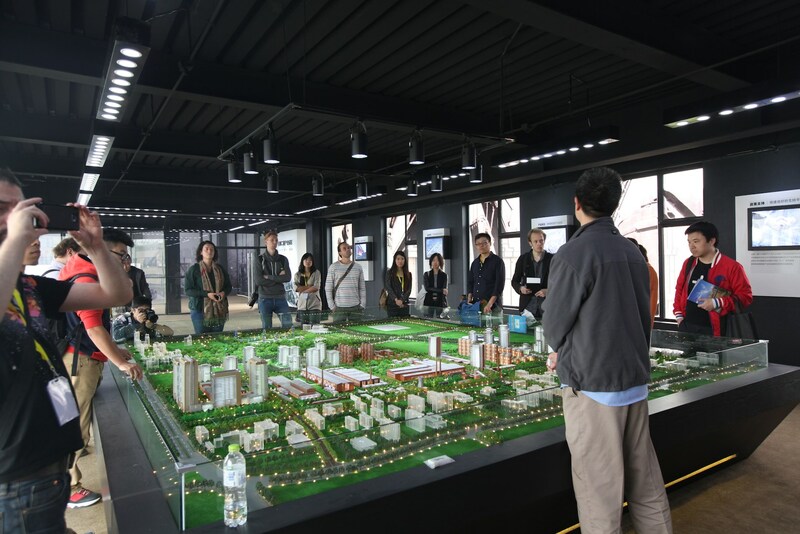 He talked us through the history, present condition and future plans for the area, and showed us a large size scale model with the prospective plans. 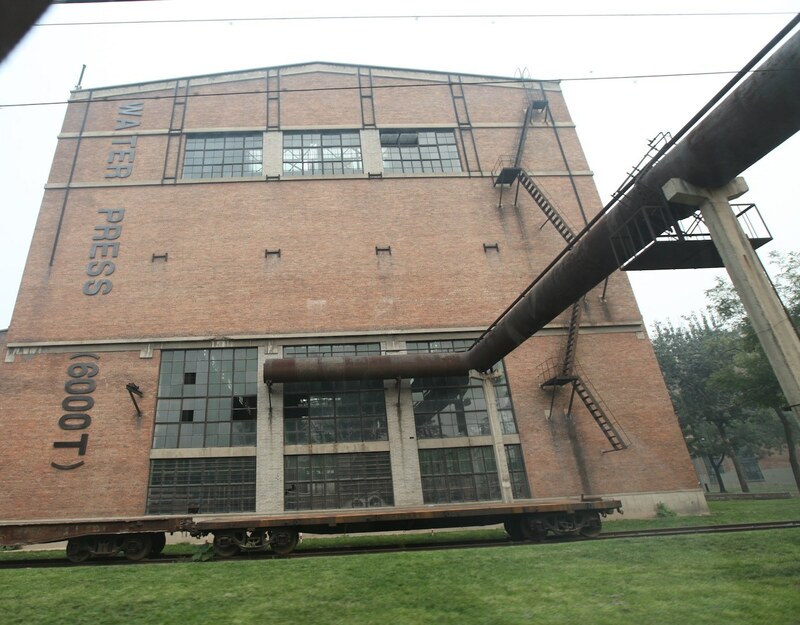 The area includes a core consisting of industrial heritage buildings that need protection and cannot be modified on the outside, and more peripheral land where housing and enterprise are planned. So far there’s a multi-tier planning process starting in 2014, 2015 and 2018. Mr. FU explains the Shougang plans for the now defunct Capital Steel Factory. 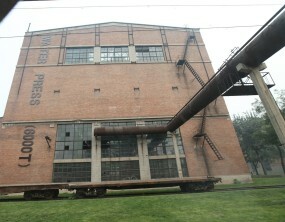 So far, the plans all seem to be directed very much top-down, even for the industrial heritage site. 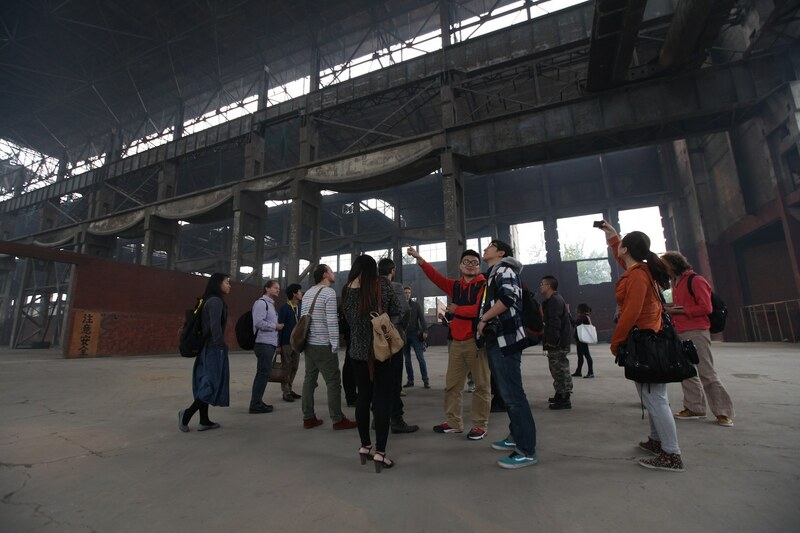 One of our participants for instance asked if Capital Steel follows the organic growth model associated with Beijing’s well-known 798 art district, to which Mr. FU replied “no, it will be a master plan”. For us it is of course not necessary to stick to this blueprint approach, since we’re not working for them but instead are developing our own plans and processes that are much more participatory and about creating new senses of non-exclusive ownership among different people. After lunch outside of the factory site, we were shown around. We visited the oldest building that the Sovjets constructed in 1958. 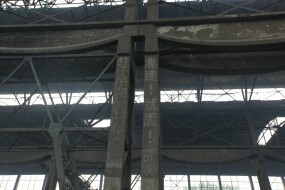 It now looked very derelict and clearly in bad shape with large cracks and rot in the concrete pillars. But so beautiful… Everyone clearly experienced awe and became tremendously inspired by the possibilities for this huge space. We could have walked around for hours on the terrain, just looking and absorbing the environment. But we had another round of Q&As with Mr. FU in a nearby room that was built anew. 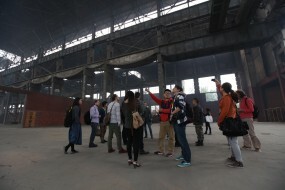 The participants and makers raised good questions about whether the terrain was open to the general public, where the former workers are now, what kind of events take place now, about the communication strategy they use, and whether they are open to unconventional ideas. Although the terrain is not officially open to the public, I did speak to a young woman who brought her little son to see where she had worked ten years of her life. She simply drove her car unto the terrain and stopped halfway, allowing her boy to play on the old railway tracks and lorries. Teams start analysis, brainstorming and ideation phase at the site. – Matter of scale: what can you do with a space that is so huge? – Matter of distance: how do you draw people to that area, either or both locals and people city-wide. – Matter of time: what can you do in the short run and what on a longer term? – Matter of audience: who are the obvious stakeholders and who are latent stakeholders, who don’t know yet that they might do something there? – Clash between the medium and the space: how to draw people to experience the terrain rather than just the medium? 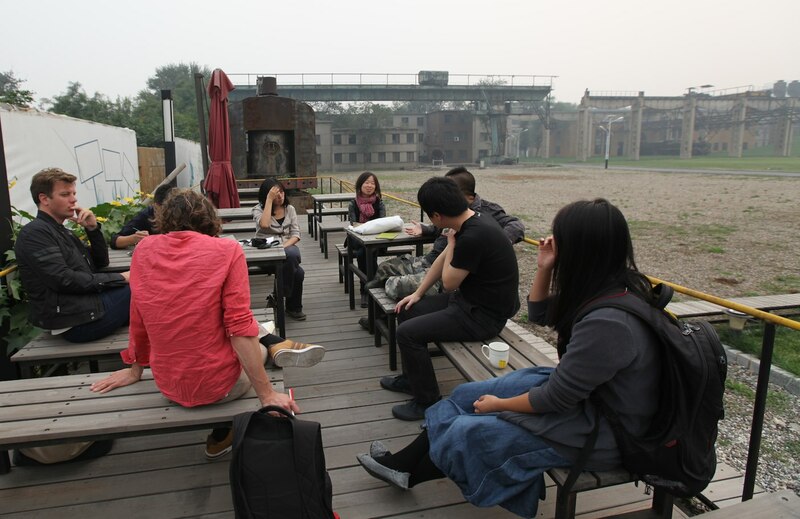 And what can small-scale media interventions mean for large-scale spaces? 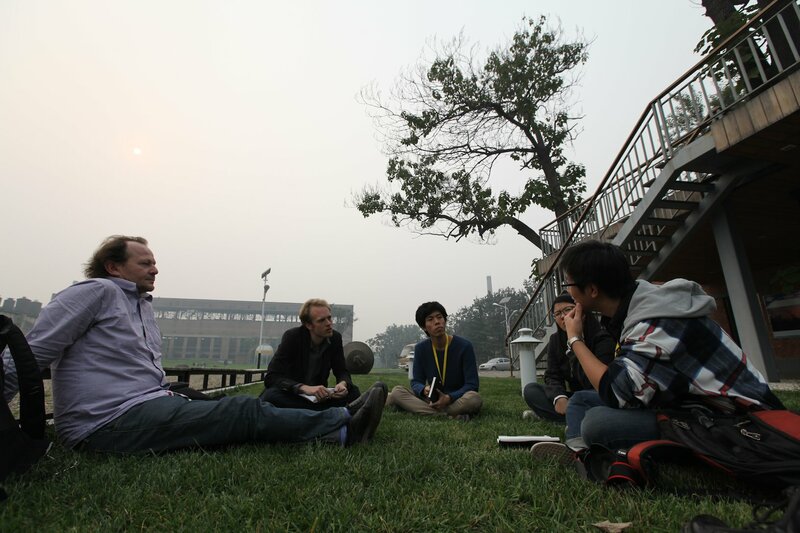 Teams also came up with some initial wild ideas through brainstorming sessions. When the clock hit 17:00 we had to leave the terrain and headed over directly to the dinner place, where we had a lovely Sichuan spicy hotpot and continued our discussion at the table. Unfortunately it wasn’t possible to do a public round to recap the day’s findings. That’s what happened in the morning of day 2. 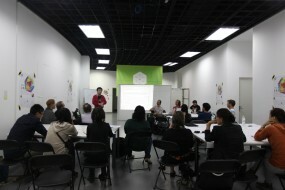 Read Edo Dijksterhuis’ report of the Made By Us workshop (in Dutch) on the Stimuleringsfonds website. 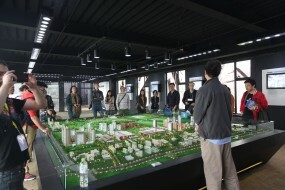 10:00 Welcome YANG Lei (CMoDA), Floor van Spaendonck (The New Institute), and introduction Made By Us workshop theme, aims and approach by Michiel de Lange (The Mobile City). 10:15 Short introduction by workshop participants. 10:30 Formation of teams; Travel to workshop site Capital Steel Factory; teams divide tasks among themselves (time management, . 11:00 Teams gather; tour and briefing about Capital Steel Factory and its ambitions; questions. 13:30 Initial brainstorming in teams; in-depth questioning and discussion; team formulates initial hypotheses about issue at stake. 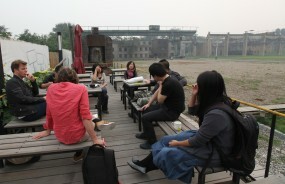 15:00 On-site research, meeting with other stakeholders, further questions, interviews, etc. 16:00 Analysis phase: reformulating hypothesis on the basis of fieldwork/research/discussion.